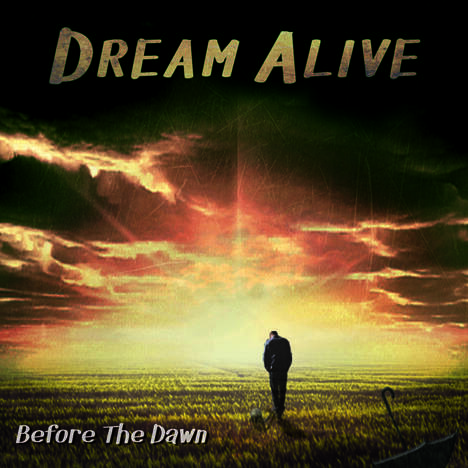 Before The Dawn | Dream Alive | OK Listen! Before the Dawn : Features eight soaring tracks that run the gamut from psychedelic to cinematic, merging the band's classic rock roots in Journey and Pink Floyd and their modern rock influences of Muse and Coldplay. "The album title Before the Dawn refers to facing your demons and eventually conquering them.The thought that if you can hold out long enough until the sun comes out, everything will be fine, and is reflected on the album cover art. The lone figure standing facing the cloudy night sky as the light breaks through in the distance shows the beauty that each new day brings."